Simply add products to Shopping Cart and follow instructions to check out. 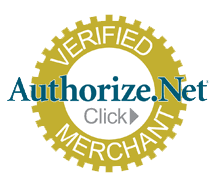 You can choose to pay with credit cards or with purchasing order numbers. Download ordering form here, fill in information and send back as an attachment to order@abpbio.com. You can also use your own ordering form, but make sure to include all necessary information (billing and shipping addresses, payment methods, etc). To place orders using PO numbers, please download “credit reference form”, fill in necessary information and send back to order@abpbio.com for approval. For government and academic institutions, no need for credit application. For national customers, orders are typically delivered before 10:30 am next day. For international customers, shipment will be arranged with FedEx. For an envelop at ambient temperature, shipping fee is typically $50 for Canada, Europe and the Asian Pacific region. For all other regions, shipping fee is typically $60. Products will be shipped after receipt of pre-payment in full, either with credit card or wire transfer.